Does Microsoft even know the name? Some new domain names might be the answer for those eager to know the name of the new Xbox, which Microsoft will reveal on May 21. Speculation about the Xbox Fusion name began some time ago, but now it turns out that Microsoft has bought several domains that use the name, including XboxFusion.co.uk, XboxFusion.info and XboxFusion.de. Earlier this week we speculated that the console might be titled Xbox Infinite after an image surfaced including the suggestive infinite symbol, though there's a good chance the picture was nothing more than the product of five minutes in Photoshop. The idea that the new console will simply be called Xbox has also been thrown around, and neither suggestion is too ridiculous. But with this latest nugget of information, Fusion seems to be the most likely of the speculated names so far. 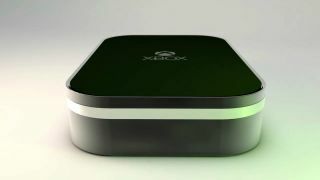 That said, it may also just point to a feature on the new Xbox rather than the console itself. Maybe something Kinect related? Just 21 days until we find out for sure.